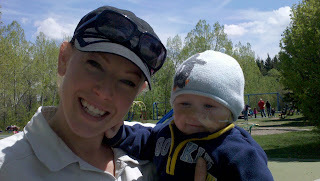 The countdown has begun to June 14, the day Noah will be admitted to hospital. The surgery will take place at some point on June 15, likely early in the day. It will take approximately 4 hours. I haven't written much lately about my own journey with depression. Partly because I still have trouble accepting what "is." But I was reading through some cards today and began to remember some of the things that were said/done/written to me during this journey. 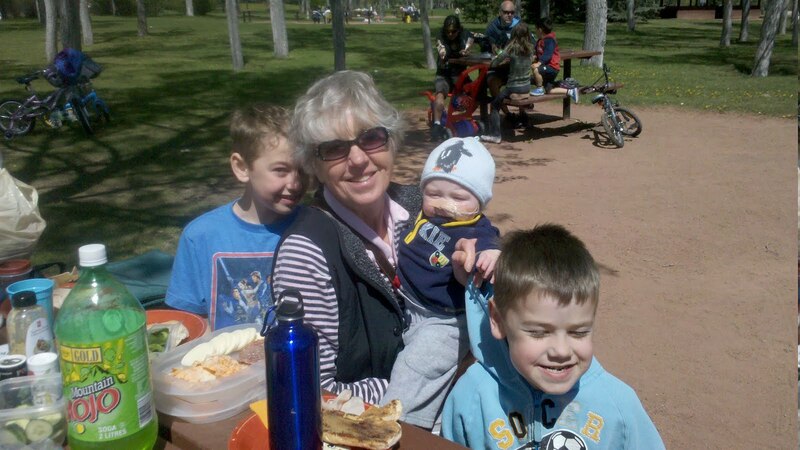 I openly share because they helped me to learn how to better care for others who are experiencing difficulty. I continue to be amazed at the love we are experiencing. God has graciously granted me healing and strength. Even though I still require a lot of help and prayer, I know that He is with me in every step I take through the day. "This is hard. You don't have to make it better for anyone." "You are an amazing mom to Noah." That was written in a card on a day I felt I have only failed Noah as a mom. It was like a paper hug! After telling someone how ashamed I felt to have depression, I heard "I've been there too....." Because others shared their journeys with me, I did not feel so alone or embarrassed. "As I live and breathe, you made it to church - that's awesome!" "God knew which parents to give Noah to." "He's such a happy little baby, you must be doing the right things!" After telling someone I had worn the same outfit for days, the reply was "you got up out of bed and put on your work uniform. Good for you!" My best friend and I made up this statement for me: "Depression, I might have you, but you don't own me!" I hope these encouraging words resonate for those hurting and feeling alone today. God is always near. He loves to come nearer when we are in pain. That is my testimony of this journey with depression. Here is a photo gallery from the last week. Drives to the mountains while tube feeding, fun at home and picnics in the park. My hope to have Noah take to a little "lovey" finally worked. You will see him sleeping with his bunny we named "Rabsy" (Dykstra siblings take note). I can't figure out how to turn the little video the right now (any pointers from bloggers?) 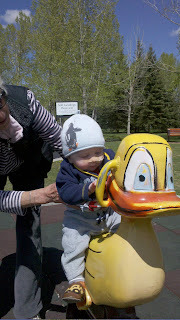 It is on Noah's 6 month birthday, in the park with his cousins, Oma and Auntie. He loved it! ps. here is a picture that we received from Mom and Dad D. back in February. This is Grandpa's big truck and he has the two grandkids' names painted on the side - too cute!! Well said! I love the statement on Depression not owning you. You are amazing, thanks for sharing your journey with all of us! Our thoughts are with the three of you. You look like a great and happy family on the pictures, despite the depression. A depression is temporarily, the family lasts and stands tall. Take care with the surgery.